73 rumor articles turned out to be true, and 30 of those were derived from their original sources. That gives them an overall accuracy record of just under 45 percent. You'd do better by flipping a coin. But when he then digs into where those rumors came from, he found that *all* the rumors from 9to5Mac's original sources (i.e. original reporting) were true. Here we have a publisher whose own reporting is absolutely stunning, and 100% accurate. That's is an amazing track-record. But then, because they are driven by ad views, they feel compelled to *also* posts third-party rumors of highly questionable quality (68% of the third party rumors turned out to be wrong). So you end up with a publication that is no better than any other. As a reader, you would have no idea that 9to5Mac own journalists are doing an amazing job because, most of the time, they are reprinting stories from people who doing a bad job. As TUAW writes: "If 9to5 Mac stuck to reporting only its own, originally-sourced rumors-and if they could rein in the more **ahem** enthusiastic members of their staff-they could easily be the undisputed go-to bastion of all Apple rumors. Sadly, that ain't so." I think this is true for many publishers and not just Apple sites. Their relentless focus on traffic means that their own excellent reporting is being buried in the midst of traffic optimized and attention-grabbing junk. And we end up with publishers who seems no different than any other. Yes, they have more traffic, but they also become part of the endless grey mass of the internet. When that happens, the effectiveness of advertising drops, which leads to lower ad rates across the industry, which leads to more traffic optimization. I do understand the dilemma though. 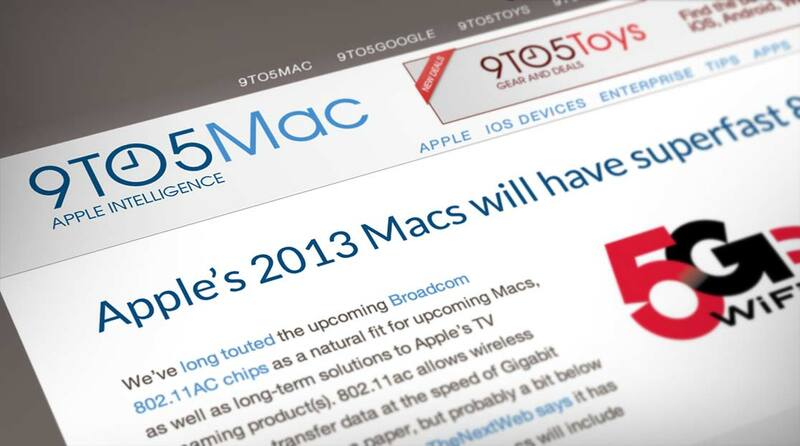 For 9to5Mac to position themselves as the king of Apple rumors (which they could do), they would have to drop publishing about 80% of their rumor articles. That's a lot of content, and thus a lot of ad views. And from an economic perspective, the math will probably favor the junk strategy. But we are in a race for irrelevance, and one has to wonder when that model will fall apart. Think of it like this. Back in 2005, pretty much every phone manufacturer was engaged in the game of optimizing their current industry. There were many really good ideas floating around, but none of them were truly embraced because it was deemed more important to get that 2% increase through optimization. But then, in 2007, Apple decided to make one of the great ideas happen, Instead of just optimizing the old type of phones, they redefined what a phone was. The result... well, look at Blackberry, Nokia, Sony/Ericsson, LG, Motorola, and even Samsung (before they caught up). They all became completely irrelevant. Nobody wanted a slightly newer and slightly more optimized cell-phone anymore. Now we wanted a screen. I think the same thing will happen to the publishing industry at some point in the future. We can see the trends already today. People are losing interest because they can't tell the difference between good and bad reporting. Citizen involvement means we have become far more critical in our view of the press, and the (slow) rise in demand for paid-for-but-really-good content is showing that people want something better. So when we look at the trends, we see that the current way of publishing is ripe for change. But it isn't just to have a slightly better version of what already exists. We need an entirely new concept. And I believe that it is only a matter of time before such a concept will emerge, and just like it wasn't Nokia who invented the iPhone, it likely won't be the existing publishers who invent the next stage of publishing. They are too caught up in their old models. This is going to be a big topic in 2014. We see this massive disconnect between what people really want (and expect), and what people actually get. People want accurate rumors about Apple, but they are getting mostly false rumors from a publisher whose own reporting is 100% spot on. But the current business model of advertising-driven pageviews prevents them from creating the right product, and both publishers and brands advertising on the site end up with a product that people have a hard time connecting with. What we need in the publishing industry is not more optimization and fiddling with features. We need someone to take the jump up to the next stage of publishing.